Mostly Positive (309) - 75% of the 309 user reviews in the last 30 days are positive. Mostly Positive (12,756) - 78% of the 12,756 user reviews for this game are positive. 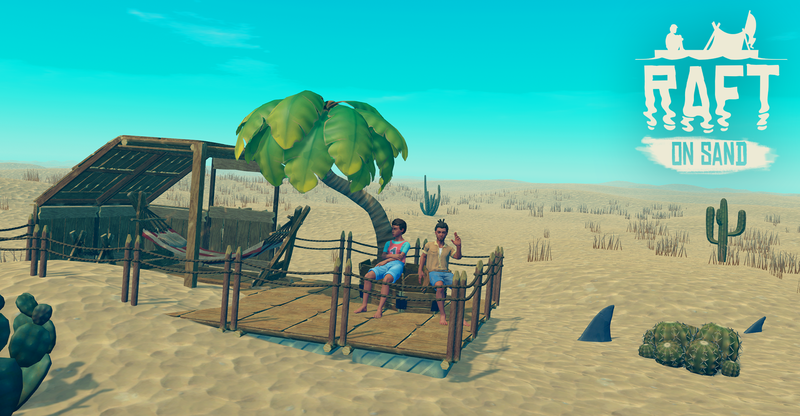 After long discussions, we have decided to make a rather big adjustment to Raft. In order to better fit our creative vision, all water in the game has been replaced with sand. This will not affect the game play mechanics in any major way, however the look and feel of the game might be perceived differently. We hope you understand our intentions and that you enjoy this potentially sudden, but important change! All water has been replaced by sand. Another hotfix is out and it should make it a bit easier to make sure your animals eat since they now actually look for grass, where before they had to stand on or randomly walk over grass. Apart from this, there are quite a few more bugs that have been taken care of! 182 Curators have reviewed this product. Click here to see them.